The hunter and his bird must share a bond deeper than any rider and his horse. They can communicate as if by magic, using the falcon’s wings and eyes in combination with the hunter’s keen wits and endless patience. Soaring across the cloudless desert sky, the falcon sights its prey, and dives. Man and beast share a meal. This scene has played out in the Arabian Peninsula for thousands of years. 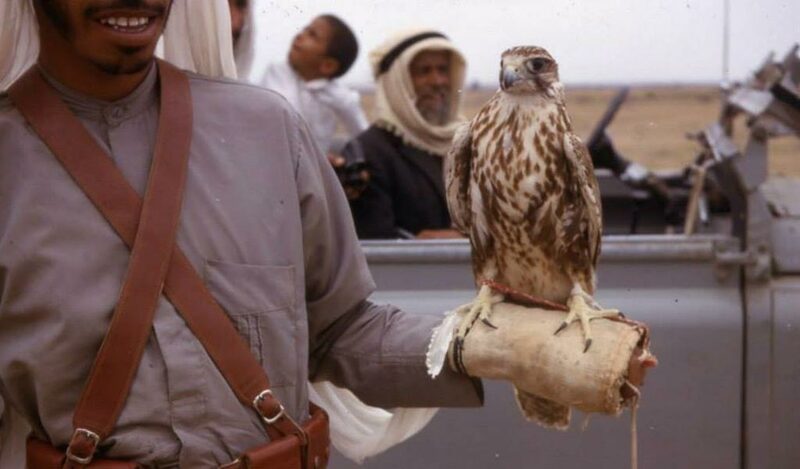 Before the wealth of oil and international banking, before Islam, even before the birth of Jesus – there was falconry. Ancient hunters, often members of the royal family, used falcons to catch meat, which was a rare delicacy in the harsh desert climate. But they also used their hunting trips to survey the territory and connect with locals, practicing the “common touch” that has always been prized by the subjects of Arabian kings. Of course, as important as falcons are to the history and culture of the nation, there is another animal that is as central to life in the desert as air and water: the camel. Camels have allowed human beings to live in some of the most grueling environments on Earth, including the deserts of the Arabian Peninsula. They provide transportation, milk, meat, leather – even their hair is woven into rugs and tapestries that decorate traditional nomadic dwellings. Camels in battle have been as brave as elephants and as loyal as horses, and their legendary endurance makes them easy to care for even on long voyages through barren terrain. Camels are so important to the cultures of this region that until only recently, a man’s wealth could be measured by the number of camels he owned. The tourist industry in Dubai is, in general, focused more on shopping and fine dining than educating visitors about the history and culture of the region. 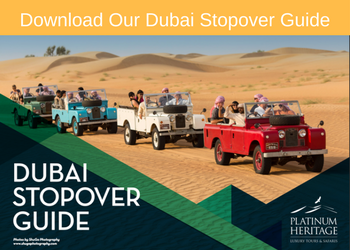 Unfortunately, this has led many travelers to look elsewhere when they want to experience history, and as a result few people have developed a true understanding of Dubai’s colorful past. Platinum Heritage aims to change that. The idea behind Platinum Heritage is that Dubai has more to offer than champagne and shrimp cocktails – it also has a unique cultural legacy unlike that of any other place on the planet. To experience that legacy, guests can ride camels into the desert, rest under a canopy made from traditional building materials, and enjoy a live, one-of-a-kind demonstration of ancient falconry techniques out on the dunes. There are even opportunities to sample the historic foods of the desert – recipes that have gone almost unchanged for over a thousand years. Platinum Heritage also focuses on more recent history. The tour company strives to show guests what Dubai was like in the brief period in between the discovery of oil and the foundation of the modern state. This fascinating period in Dubai’s history shows a country hurdling toward modernity while still retaining its own cultural distinctiveness. The British, who had dominated the area since the fall of the Ottoman Empire, left behind many of the trappings of their presence. 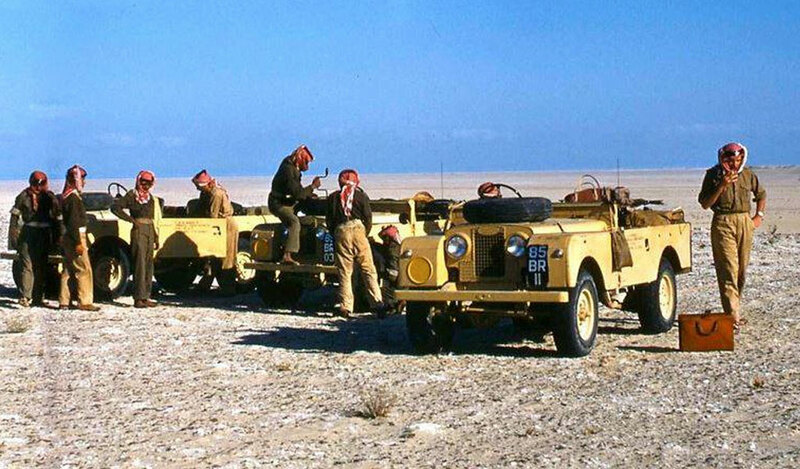 One especially well-preserved example is the desert-equipped Land Rovers that they used to traverse the desert (leaving aside those few, like T.E. Lawrence, who learned to ride camels). Platinum Heritage maintains and operates a fleet of museum-quality Land Rovers from the late 1950s, which the company uses to transport guests to and from the campsite. 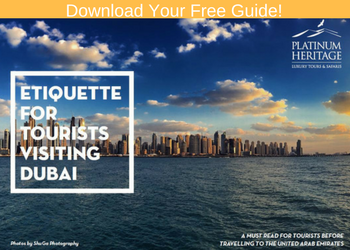 Hopefully, more innovative travel companies will join Platinum Heritage in their efforts to help Dubai to gain its deserved reputation as a top-quality destination for history buffs.